OK that title needs some sound effects behind it … something along the lines of dun, dun, dun! 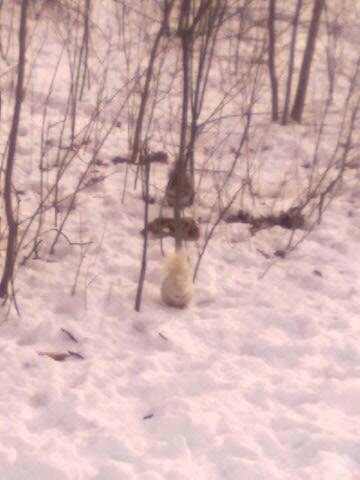 So have you heard about the sightings of white squirrels here in Toronto? We have so many squirrels in our City that most of us hardly ever notice them. It’s like they’ve become wallpaper, you know it’s there but hardly ever notice it, because it’s always there. But squirrels, like their feathery counterparts pigeons (a.k.a. Rock Doves), are a lot more interesting than one might think. Have you noticed the colour of the squirrels in your neighbourhood? The main species of squirrel you’ll find in Toronto is the Gray Squirrel, even though they’re fur can often be black. I’ve also noticed many with rusty/red coloured fur (sometimes they’re even 1/2 gray 1/2 rust). There are even one’s with white fur. This picture was taken by our Expansion Assistant last December as she was heading into the park for a meeting. Our little friend here was seen just past the road to the City Greenhouses. 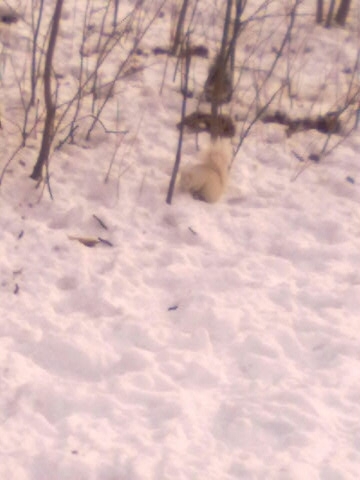 I’m pretty sure he’s not a true albino squirrel, but can’t fully tell by the picture. Albino animals have absolutely no pigmentation (skin colour, hair/fur colour, eye colour). So if our little buddy here was an albino squirrel not only would his fur be white but his eyes would be pink too (yes the inside of your eyes are pink … cool huh!?). However, our snowy wee squirrel here wasn’t letting Maria get close enough to see the “pinks” of his/her eyes . . .
High Park isn’t the only park in Toronto with these one of a kind fluffy white fellas. 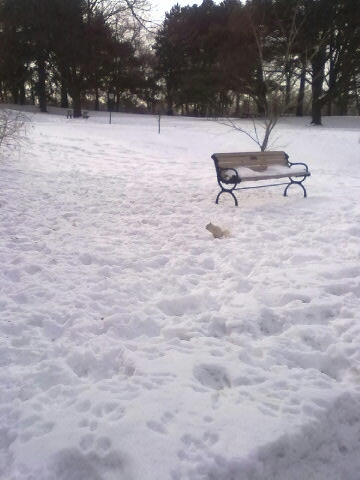 Trinity Bellwoods at Queen and Strachan Ave. is also host to its own White Squirrel … Dun, dun, dun! Next Post File This One Under: Slightly Gross But Totally Cool!